Credit card scams are on the rise. People with debt problems are often victims of thieves who prey on folks who are desperate for relief from their financial woes. It is important to know what to do when confronted and how to deal with these scam artists. 1. Calls from marketers claiming they can lower rates. You should be alarmed if the caller says he can lower your rates with an upfront fee. 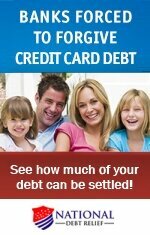 If the call is really from your credit card company, there should be no fee. 2. You receive a text or an email indicating there is a problem with your account. When you call the number, you are asked to enter your credit card information. But in reality, the scammers are collecting your numbers so they can use the card. Never click on links or use information that is sent to you concerning your accounts. Instead, look it up yourself or call the customer service number on your statement. 3. Calls from someone claiming to be from your bank, but they want to verify the three-digit security number on the back of your credit card. What they're really after is the number so they can use your card. 4. 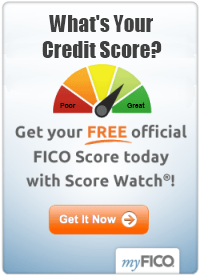 New offers for credit cards that sound too good to be true. They promise 0% interest or no credit checks. Read the fine print. Some of these cards carry high fees, while others are secured cards. If you're having credit card problems, ask yourself this: why would a legitimate credit card issuer want your business? Criminals have figured out how to steal card numbers from ATM machines, gas pumps, and other debit machines that use credit cards. If something looks amiss, do not use your card there. Make your purchase elsewhere or pay with cash. Sometimes crooks involved in credit card scams also place cameras at ATMs in order to obtain your PIN. Be aware of your surroundings. When someone calls you and claims to be from your bank or credit card company, tell the caller you will hang up and call back on their 800 number. For safety's sake, this is good practice and one of the best ways to avoid credit card scams. Do not give out any personal information over the phone unless you have originated the call or you are certain the caller is from a legitimate source. If someone asks for payment or reimbursement from your government check, hang up immediately. The government does not charge application fees nor does it ask for money back. If you are concerned, contact the agency issuing the check. Store your documents in a safe place. Be sure to sign your credit cards. Always take any copies of credit card receipts with you; do not leave them in the store. Shred documents with your name, address, and account numbers on them before you throw them in the trash. Thieves will go through the garbage in hopes of finding credit card numbers they can use. Ask for references and referrals before allowing contractors, roofers, or other workers into your home. Always ask solicitors if you can see their local business license before doing business with them. Most communities require solicitors to be licensed, and if they do not have a license, ask them to leave. If you are expecting people you do not know to be in your home, put away your credit cards and other valuables where they cannot be seen or easily found. The U.S. Treasury Department offers this advice: "If you lose your credit or charge cards or if they've been lost or stolen, immediately call the issuer(s). By law, once you report the loss or theft, you have no further responsibility for unauthorized charges. In any event, your maximum liability under federal law is $50 per card. " If you think you have been a victim of credit card scams, contact the fraud departments of any one of the three major credit bureaus at their toll-free numbers. Equifax at 888-766-0008, Experian at 888-397-3742, or TransUnion at 800-680-7289.